Representatives from each organization gathered in May to sign a memorandum of understanding. The district will be governed by a board of approximately 20 members, including two from each institution. 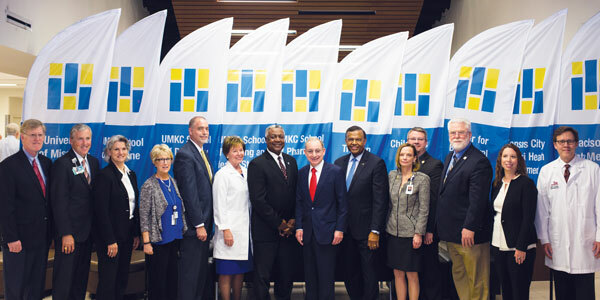 By including agencies of the city, county and state, the UMKC Health Sciences District is one of a kind. “We have all worked together already for a long time, and worked very well together, but this opens a new chapter,” said then-Chancellor Leo E. Morton. Drawing on these institutions’ efforts, the district has the potential to enhance collaboration on education, research and grant requests; combine efforts on community engagement; improve faculty recruitment; coordinate area parking, safety and transportation; and create shared opportunities in wellness for more than 16,000 health professionals, faculty members and students.